We believe in de-cluttering for the greater good. 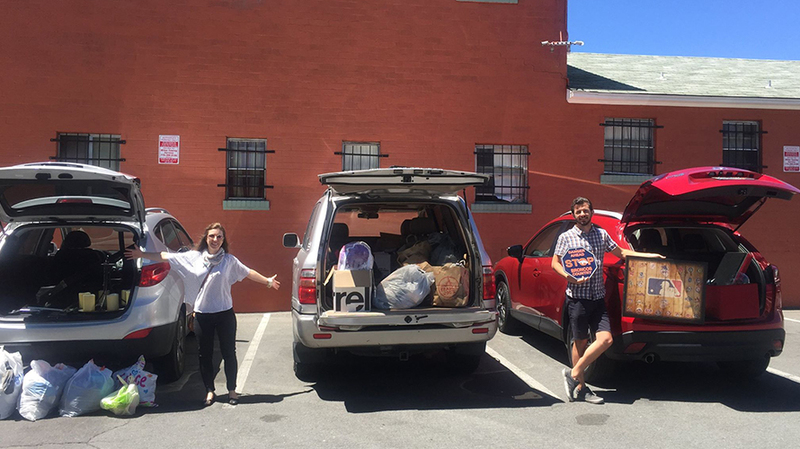 Which is why we scoured our homes, closets, those of our friends and family (hopefully they're not reading this, because some we didn't tell) — and ultimately collected three SUV trunks full of gently used clothing and household goods to donate to the Committee to Aid Abused Women! Now be honest: Don't you wish you could feel as free and unencumbered as Nicole clearly does in this picture? You can. Donate to CAAW today! We came. We saw. We served.